Geneva - One of Switzerland's largest private wealth managers will have a new chief executive officer come May, aged only 34 years old, the Julius Baer bank announced Tuesday. The private bank said Boris Collardi would take over from current CEO Johannes de Gier. Collardi, a Swiss national born in 1974, worked for Credit Suisse before joining the private wealth manager in 2006. The previous CEO of Julius Baer, Alex Widmer, died suddenly in December 2008 at the age of 52, amid rumours that it was a suicide. Geneva - Ahead of a large international conference on Afghanistan, the International Committee of the Red Cross warned Monday that the humanitarian needs in the region were not being met and there was growing need to protect civilians from raging violence. "The civilian population is bearing the brunt of the armed conflict in Afghanistan and Pakistan," Jacques de Maio, the head of the ICRC's South Asia operation, told reporters in Geneva. Geneva - A court in Switzerland ruled Thursday that value added tax must be paid for all things sold, even prostitution, dismissing a claim by a brothel owner. The owner, who was told by the tax authorities to pay 95,000 Swiss francs (84,640 dollars) in VAT on the services she proffered, claimed the government could not tax "immoral" acts. Nyon, Switzerland - The president of Macedonian club Pobeda as well as a player have been charged for match-fixing, UEFA announced Thursday. "UEFA has announced today that the Macedonian club FK Pobeda, its president and one player have been charged for being in breach of the principles of integrity and sportsmanship by manipulating the outcome of a UEFA match to gain an undue advantage for themselves and a third party," said European football's ruling body in a statement. Geneva - Air passenger traffic in February dropped by 10.1 per cent, following a trend of declines in recent months, The International Air Transport Association said Thursday. A 5.9 reduction in capacity last month, deemed by the association to be "the most aggressive since the crisis began," was not able to keep pace with the continued decline in passenger travel. Also, international freight volumes were 22.1 per cent below 2008 levels, the third consecutive month of such steep declines. Geneva - Banque Cantonale de Geneve on Wednesday reported a record drop in profits last year, news that was counterbalanced by data showing a boost in the amount of funds deposited. Profits at the regional publicly traded bank fell by 11.6 per cent to 68.1 million Swiss francs (60.3 million dollars), the bank reported. However, it also reported 12,600 new clients, more than double the amount of a normal year, and a 930-million-franc increase in client funds deposited. 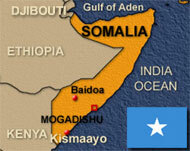 Geneva - Somalia is the scene of one of the worst humanitarian crises in the world and its citizens have been victims "of most terrible human rights and humanitarian law abuses," the United Nations expert on the east African country said Wednesday. 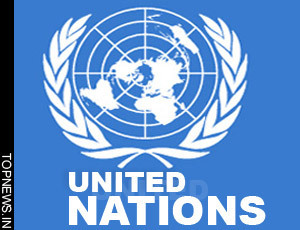 Geneva- The United Nations was marking Tuesday the 50th day that John Solecki, who worked for the organization in Quetta, Pakistan, was being held in captivity. 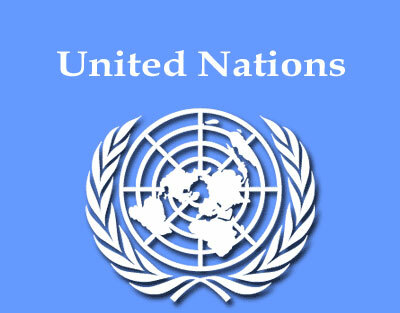 Solecki was abducted on February 2 this year, in an attack that killed another UN staff member. His health was said to be deteriorating and the UN was worried about his medical condition. Currently, 19 UN staff members are under arrest, detained or missing, around the world, said UNHCR, the refugee agency that employs Solecki. Geneva - Airlines will suffer losses of 4.7 billion dollars in 2009, the International Air Transport Association said Tuesday, downgrading a previous forecast. "The state of the airline industry today is grim," Giovanni Bisignani, the head of the IATA, said. A forecast at the end of last year had predicted a 2.5 billion dollar loss. The IATA also revised its estimate losses for 2008 from 5 billion dollars to 8.5 billion, citing a particularly bad fourth quarter. Zurich - Swiss Life, the largest insurance company in Switzerland, announced Tuesday it was forming a strategic partnership with German insurer Talanx. Talanx was to purchase up to a 9.9 per cent stake in Swiss Life and a 8.4 per cent share in MLP, a German pension specialist, from Swiss Life. The news came as Swiss Life announced a 345 million Swiss franc (306.9 million dollars) net profit for 2008 and said it had a solid capital base. Geneva/Berlin - Switzerland and Germany are friendly neighbours and big commercial partners, but a war of words over banking secrecy is shaking the relationship, and few punches are being pulled. Fights between friends and family can be nastier than enemies. The row started a week ago, when Peer Steinbrueck, Germany's finance minister, said in an off-the-cuff remark that so-called tax havens were running scared, like Native Americans fleeing mounted troops. Geneva - Holcim, a Swiss cement supply company, said Monday it had opened international arbitration proceedings against Venezuela, after the South American government failed to pay compensation for the nationalization of its branch there last year. Along with two other foreign-owned cement companies, Holcim's assets were seized by Caracas in the summer, the company said in statement. In violation of an agreement between the company and Venezuela, the Swiss firm was never compensated and the government cut off all contact by October. 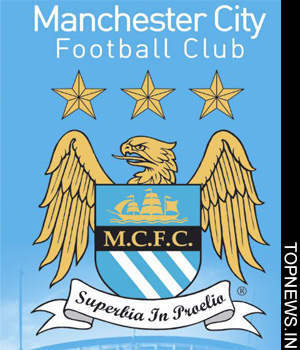 Nyon, Switzerland - The only Premier League club remaining in the UEFA Cup, Manchester City, were on Friday drawn into a quarter-final clash against Bundesliga side SV Hamburg. The draw conducted in Nyon saw the other remaining German team in the competition, Werder Bremen, having to take on Serie A's only remaining club, Udinese. The two remaining French sides were both given Ukrainian opposition, with Paris Saint-Germain facing Dynamo Kiev, while Shakhtar Donetsk face Olympique Marseille. Nyon, Switzerland - Holders Manchester United and FC Porto were drawn against each other in the Champions League quarter-finals in Friday's draw made at UEFA headquarters in Nyon, Switzerland. German champions Bayern Munich face a much sterner task in the form of Spanish Liga leaders Barcelona while last year's finalists Chelsea take on English Premier League rivals Liverpool in a European competition for the fifth season in succession. Geneva - The United Nations top rights official, Navi Pillay, issued a call Friday denouncing racial discrimination, ahead of an event marking the Sharpeville massacre in South Africa nearly five decades ago. "Racism, racial discrimination, xenophobia and related intolerance are insidious, corrosive and sometimes explosive forces that devastate the lives of many individuals and, if left to fester, can undermine societies as a whole," said Pillay, the UN High Commissioner for Human Right. Geneva - Switzerland saw double-digit drops last month in its exports, a backbone of the economy, statistics released Thursday showed. 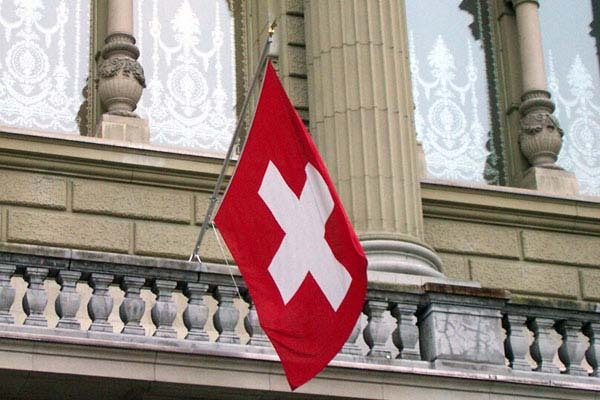 Exports declined to just over 14 billion Swiss francs (12.5 billion dollars), a 16.3 per cent drop in real terms, while imports fell 6.7 per cent, bringing the trade surplus to 731 million francs. While all sectors saw declines, the metals industry was hit hardest and its exports fell over 36 per cent while textiles experienced a drop of 30 per cent. Zurich - The Swiss bank UBS said Thursday it has made a tender offer worth up to 1 billion euros (1.34 billion dollars) to buy back bonds in an attempt to raise its Tier 1 regulatory capital ratio. The offer pertains to four lower tier 2 bonds with maturity dates between November 2015 and September 2019 and a notional value of around 7 billion Swiss francs (6.15 billion dollars). The bank said in a statement that the bonds were currently trading at a significant discount to their original issuance price. Tier 1 capital ratio is a regulatory measure of a bank's financial stamina. Geneva - A new shortened draft declaration for an upcoming UN conference on racism which deletes direct references to Israel may be enough to woo back countries threatening to boycott the summit, officials hoped on Wednesday. Both Israel and the US left the previous summit, in Durban in 2001, over criticisms of Israel, and Israel and Canada were threatening to boycott the upcoming conference in Geneva over the same issue. 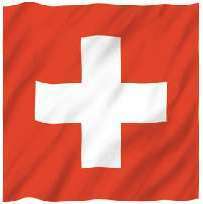 Bern - Revised government figures for 2009 released Tuesday showed that Switzerland's economy would shrink by 2.2 per cent and the recession would be significantly worse than had been envisaged. 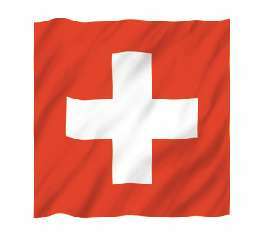 Previous statistics by the Swiss Economic Ministry had predicted a contraction of 0.8 per cent. The latest forecast said that if there was an easing of the global financial crisis, Switzerland could see slightly positive growth of 0.1 per cent in 2010, even as the labour market would continue to deteriorate. Zurich - During 2008, 240,500 people were killed by natural and man-made disasters and it one of the "costliest catastrophe years" ever for insurance companies, a study showed Tuesday. The research done for Swiss Re, the re-insurer, said there were 311 "catastrophic events" last year, of which 137 were considered natural disasters. The total direct damage to the world economy was estimated to stand at 269 billion dollars.